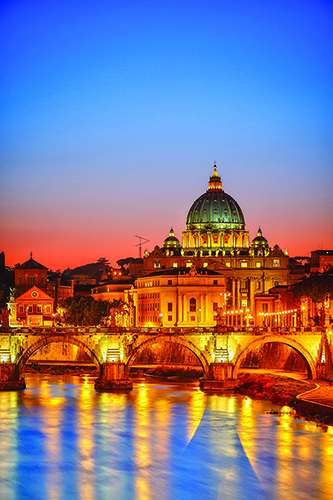 On arrival in Rome, you have a private transfer to your hotel. The rest of the day is at leisure. Overnight in Rome. After breakfast, enjoy a private transfer to the rail station. Here board the high speed train to Florence. Enjoy the scenery on this short journey. On arrival in Florence, you are met by your private driver, who will whisk you off to your pre-booked Villa, which will be your base for the next four nights. 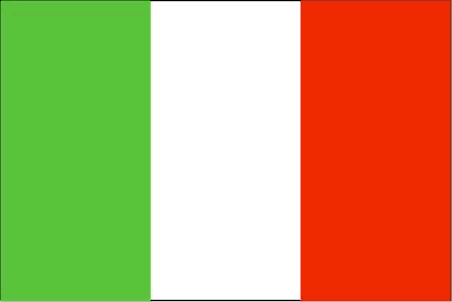 Dinner tonight will be around 7.30 pm, where you will enjoy the culinary delights of the Villa Casagrande. Overnight at the Villa. Day 03: Day at leisure and cooking class with Mamma Paola! 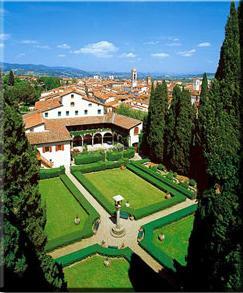 After breakfast, discover the lovely village of Figline Valdarno or perhaps take the 30-minute city train to Florence. Make your way back to the Villa this afternoon for a wonderful cooking experience with Mamma Paola at the Villa. During the 3-hour class, you will learn to prepare many traditional and seasonal Tuscan dishes. Dinner to follow bases on your efforts. Overnight at the Villa. An exciting day is planned after breakfast, where you meet your driver for a full day excursion! Your private English-speaking chauffeur will meet you at the Villa and lead you to Cinque Terre, a land of sea and hills where the peasant culture entwines indissolubly with that of the maritime, creating a unique landscape. Traveling from Florence to Cinque Terre don't miss the chance to see the spectacular marble quarries of Carrara and, approaching Cinque Terre along the panoramic road, enjoy the gorgeous views of the Gulf of La Spezia and then the five villages. Monterosso is the largest of the five coastal villages; it is located on hills cultivated with vines and olives. The vegetation surrounds the built-up area like an embrace; its amazing beaches, its beautiful reefs, and the sea's crystal clear waters make this small village one of the most hospitable of the Ligurian Riviera. Train to Vernazza, (arrival around 13:00 am). Once arrived, have some free time for lunch and for an independent visit to the village. Your English-speaking driver will give you all the information you need about the best restaurants! 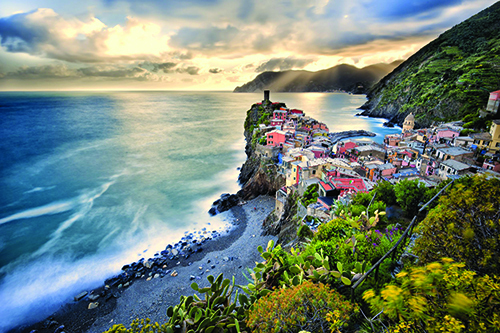 Vernazza is the most charming village of Cinque Terre. During the boat ride, you 'll be able to see all the Cinque Terre villages along the coast. Here, you will discover the typical narrow streets of the village and the ancient Church of Santa Margherita dating back to 1318. If you didn't have the chance to visit Maranola in the morning, you will get there in the afternoon. Manarola has a tiny harbor with a boat ramp, picturesque multicolored houses facing the sea and a tiny piazza with a stunning view. The drive back to Florence from Cinque Terre is approximately two hours, giving you enough time to take your last few glimpses of the sun setting over the amazing coast. Your Cinque Terre Day Trip ends back at your hotel in Florence, with a camera full of pictures and a heart full of memories about the enchanting Ligurian Coast you visited. Return to Figline Valdarno for overnight at the Villa. After breakfast, your private chauffeur will meet you in your hotel lobby and lead you out of the city to the lush green hills of Tuscany. Departure to Castellina in Chianti, which stands on the borderline between Florentine and Senese Chianti. It has Etruscan roots and always played an important role in the fights between Florence and Siena. The majestic Fortress and the massive walls prove this glorious past. Continue to Greve in Chianti and stop to “Antica Macelleria Falorni” to visit this historic butcher and taste the original Tuscan Salami. Enjoy the visit of Greve in Chianti, where the great explorer Giovanni da Verrazzano was born, as celebrated by the big statue in the main square. Piazza Matteotti with its particular shape and restaurants and shops is the main attraction. The Church of Santa Croce keeps important artworks by Florentine artists such as Andrea Della Robbia and deserves a visit. Then, stop at the wonderful Castle of Verrazzano for a visit to the amazing castle and the wine tasting. Guided visit to the Castle's gardens and historical aging cellars followed by a guided tasting of a selection of the best wines. Your Tuscany day trip ends back at the Villa for overnight. After breakfast, a private transfer takes you to the Florence rail station, where you will board your high speed train to return to Rome. On arrival, private transfer to your pre-booked hotel. Another day and evening to enjoy Rome and all it's glory. Overnight in Rome. After breakfast, a private transfer takes you to the airport for your return flight home. Lunches not mentioned in itinerary. Airfare is additional. Once you select your date, you will be given the opportunity to search our system for the best available airfare from your home city. Departure date is the date tour begins in Italy. One would depart from the US one day prior to accommodate for overnight flights.